Lancope is a company that specializes in network behavior analytics, threat visibility and security intelligence to help protect companies against top cyber security threats. 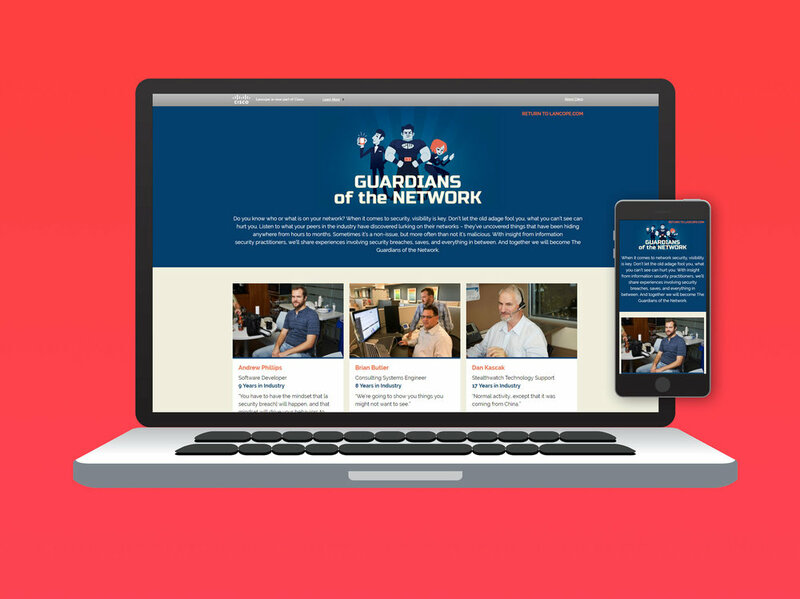 Guardians of the Network is a microsite designed for Lancope to highlight the talent and experience of the people who power their services. I spearheaded user experience, design, and branding of the microsite. I began with quick user flows and paper prototypes, then moved to Axure to create interactive prototypes to iron out functionality. I then moved to Photoshop to create design comps based on Lancope's current branding, and used Illustrator to design new characters to fit the client's desired theme of spies and heroes.